A beautiful and charming Italian restaurant that feels like you entered into someone’s private library, complete with grand piano. And the back garden is gorgeous. The Diamond – 43 Franklin St.
Ahh, the Diamond. Where you can play both indoor shuffleboard and outdoor horseshoes. Their back patio is legit. The backyard at Broken Land (courtesy their Facebook page). 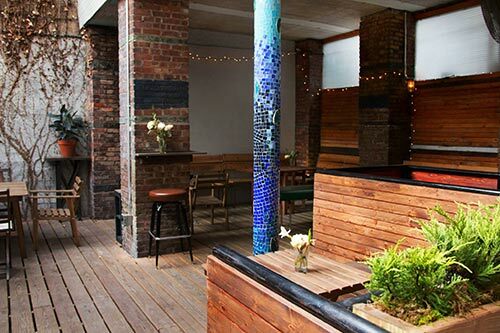 This very chill and inviting bar also has a chill and inviting back patio open till 11pm. And if you come early enough, you can probably catch happy hour too. The back garden at Troost (courtesy Facebook). 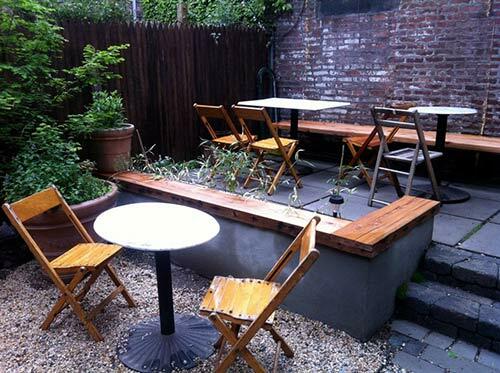 Troost – 1011 Manhattan Ave.
They’ve got delicious meat and cheese spreads to go with your drinks, but what’s even more awesome if their back garden. Check it out after 4pm. t.b.d. – 224 Franklin St. 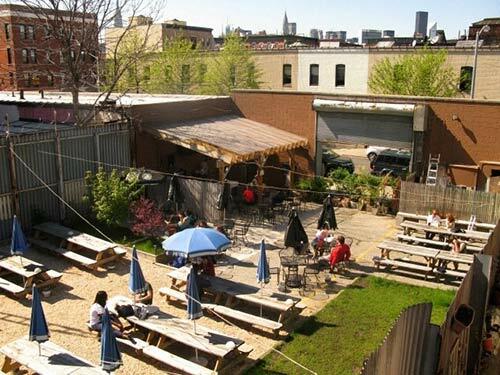 The beer garden at t.b.d. is freaking massive. Don’t believe us? Go check it out for yourself. No Name Bar – 597 Manhattan Ave.
There’s no sign, no name, and very few pictures of this bar online. 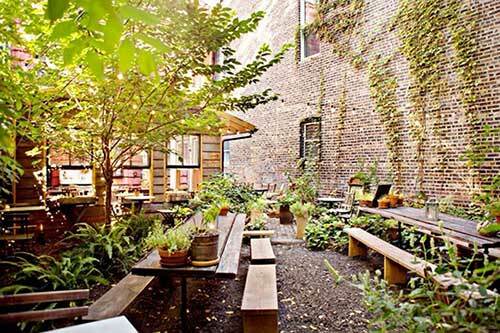 But trust us, there’s actually a bar at this address, and they have an outdoor patio. This neighborhood staple bar pretty much always has chairs and tables set up on the sidewalk. Lounge while it’s still light out—they open at 3pm Monday through Friday. You might know the Black Rabbit for its cozy pub atmosphere with a fireplace that’s ideal in the winter. 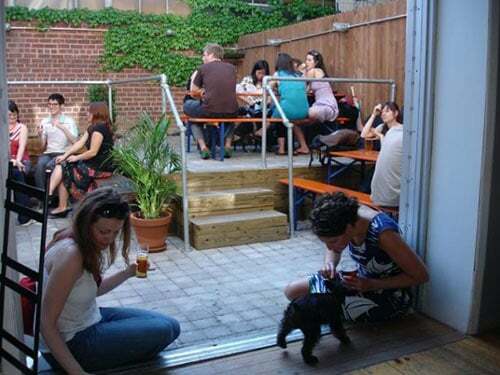 But they also have a nice beer garden in the back. Perfect for today’s weather, they open at 4pm. Any of your favorite spots we missed? Tell us in the comments! 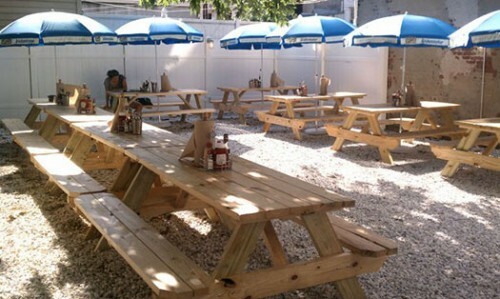 No name’s patio is open?! yes,amazing food ,the best burgers at city!really!